A Deluge of Grace, Grace, GRACE! Here are reflections from my morning quiet time with God today. To see how I approach quiet time, see here. “Deep and wide / Deep and wide / There’s a fountain flowing deep and wide.” It’s the words of that old Sunday School and camp song that come to mind as I read these amazing words of Paul, beautifully rendered by Peterson in The Message. When I compare my life and how I conduct it to the Law of God, I fall short (Romans 3:23). As we confess on Sunday mornings, “We have not loved You with our whole heart; we have not loved our neighbors as ourselves.” But, just like Abraham, the patriarch of Biblical faith, Paul says, we are accounted righteous by God through faith in God, Who has now revealed Himself to all the world--Jews and Gentiles--through Jesus, true God and true man. God graciously offered His Son for us so that all who believe in Jesus--Jew and Gentile--share in His victory over death and enjoy eternal reconciliation with God (Romans 5:10). Paul says that I not only can now boast in my hope of a life of perfect righteousness beyond my grave because of Jesus and my faith in Him, I can even boast about Jesus in the midst of my sufferings. Why? Because, God forges my character and fits me for authentic human living in this world and in eternity in the midst of suffering as I keep following Jesus! This results in hope that doesn’t disappoint or put me to shame. When I go through the worst that this life dispenses, when I experience God’s grace and forgiveness even when I am my own worst enemy and the creator of my own heartaches, I know that God is real. I experience, intimately and first-hand, that God’s grace is real. I know that Jesus’ death and resurrection were for me too. This is how I have experienced You, God: As the gracious Father, Son, and Holy Spirit Who still loves me, still hears my prayers, still stands by me when I have failed You and I turn back, when I suffer and I rely on You. It’s through the dark times, as we cling to Your hand, that deeper peace, deeper hope, deeper certainty, and deeper faith are won. I have come to realize that You love me in spite of me--”...at just the right time, when we were still powerless, Christ died for the ungodly” (Romans 5:6). Wow! Listen: All of which is why, Peterson’s rendering in The Message caused me to stand up and take deeper notice of Your Word in Romans 5:3-5 today. When my suffering--real, imagined, or attributable to the devil, the world, or my sinful self--leads me to a deeper walk with You and often in my life, hopelessness is dealt a fatal blow. Grace gets the last word over my sin. Life gets the final say over death. When I trust in You, You set me free to be who You made me to be--Your son--and do what I was made for--reflect Your glory and goodness. 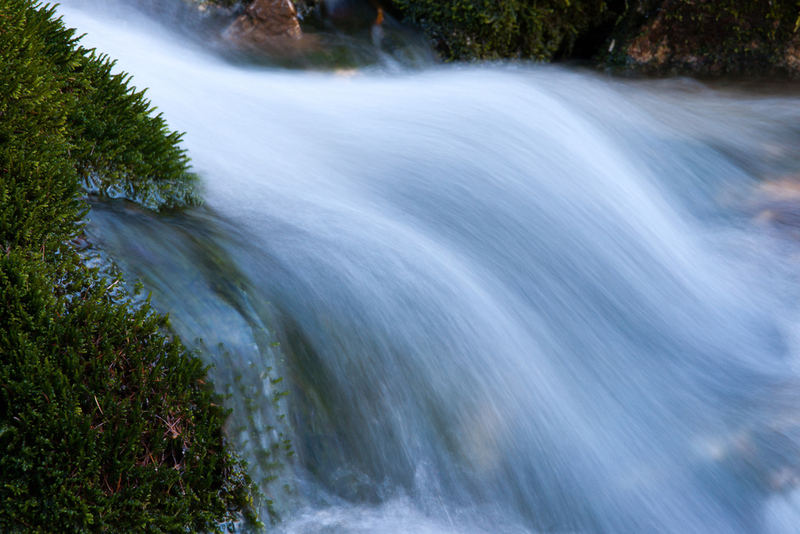 You grant a life-giving tidal wave of living water, slaking my troubled soul with grace. Grace. Grace. Grace! GRACE! As You daily prove Your faithfulness to me, Lord, I find myself increasingly empowered to live today and am given to standing on tip-toes in alert expectancy of what You are going to do today, tomorrow, and in eternity. "Condo again, condo again, jiggedy jig." I'm back in Miamisburg after a few days of vacation in northwestern Ohio and Grand Rapids, Michigan. Pictured here are my souvenirs from the Gerald R. Ford Presidential Museum in Grand Rapids. It's a good museum and I recommend a visit, although a few displays need some attention. I'm a great admirer of President Ford. He didn't seek either the vice presidency or the presidency, but when he became president, whatever you think of his particular policies, he helped to significantly restore Americans' faith in the Constitution and our government. This was sorely needed after his predecessor, Richard Nixon, attempted to subvert democracy and make himself a kind of elected royal, above both the law and the checks and balances created by our Constitution. Ultimately, Nixon's criminality didn't stand because, as Ford said at his White House swearing-in ceremony, "Ours is a government of laws, not of men." The Ford Museum was a busy place when we visited yesterday. The Michigan Secretary of State had staff on hand to register citizens to vote. That was needed because, as is true twice a month at the Ford Museum, new citizens were sworn in at the auditorium. It was fun congratulating new fellow citizens after the ceremony! The items I purchased at the museum include two books. One is about Brent Scowcroft, the national security adviser to President George H.W. Bush. I'm a fan of Scowcroft's foreign policy realism. A second biography is of Nelson Rockefeller, written by one of my favorite presidential historians, Richard Norton Smith. That book has been on my Amazon wish list for some time. But the books were both 75% off at the Ford Museum! So, I couldn't pass them up. Also purchased: A pocket edition of the Constitution, which I intend to keep close at hand, taking fourth place behind pocket editions of the Bible, Concordia (the Lutheran Confessions), and The Small Catechism. 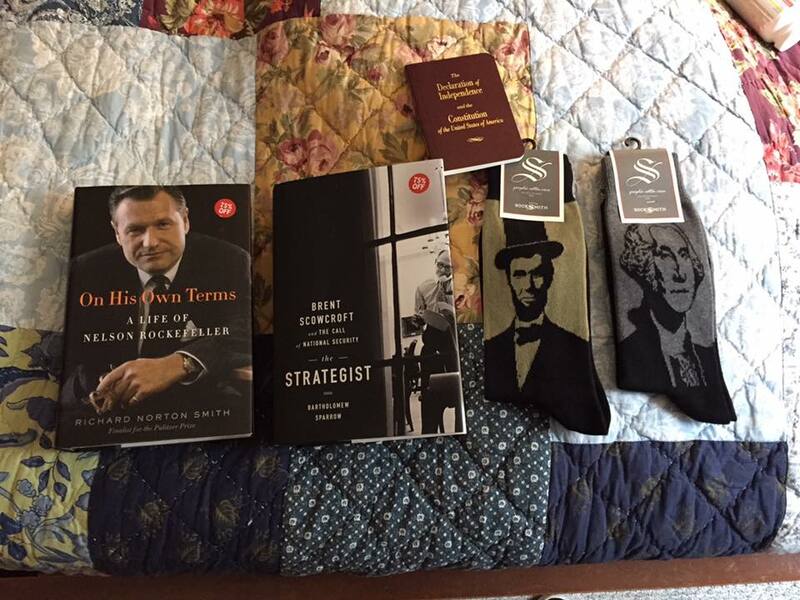 Two other items: Socks that will be at home on my feet, one with an image of George Washington, the other with Abraham Lincoln's picture. Contrary to popular opinion, my contacts with politicians and my study of political history over the years demonstrate that there really are people in public service who are principled and patriotic. Gerald Ford was one of them. Being at the museum was an inspiring experience. People like Ford remind us of what America is supposed to be about. Here's a link to a post I wrote about Gerald Ford on the day he died in 2006. Never Forget the One Who Never Forgets You! You go to the grocery store with a list of eight items in your mind. You’re confident that you’ll remember every item because you rehearsed the list over and over again earlier in the day. You get a cart and start to pick up the items. Bananas; check. Lettuce; check. Asparagus; check. Gluten free bread; check. Lunchmeat and cheese; check. Orange juice; check. You look at your cart: 1, 2, 3, 4, 5, 6, 7 items. But what was the eighth again? You think and think, but can’t remember. You’re still not worried, though. You’ll just saunter up and down the aisles, hoping that you’ll spy the eighth item on your mental list. The saunter strategy only makes things worse because, as you see things on sale or items you think you might need, you load up your cart with them. It only buries the forgotten item into the deeper recesses of your brain. You keep on forgetting until, just as your garage door goes up, you remember that you needed to pick up the main course for the night, chicken! Our memories can be faulty. Unless we take the proper precautions, we are all at risk of forgetting the most important things in life. If we’re not careful, we can forget the important things that we know. This is even true of our relationship with the God revealed to all of us in Jesus. In the rush of daily living, we can forget Jesus. I’m not talking about forgetting the facts surrounding Jesus. Nobody who knows the Apostles’ Creed or the Nicene Creed is apt to forget that Jesus was conceived by the power of the Holy Spirit, born of the virgin Mary, was true God and true man, died for our sin, and rose to give life to all who believe in Him. But, though all of these statements describe life-giving truths about Jesus, knowing them and even memorizing them without knowing Jesus won’t bring us life with God. Only Jesus does that. And only those who maintain a relationship with Jesus, daily turning from sin, daily following Him and trusting in Him, have life with God. Christian faith isn’t a set of religious propositions. Christian faith is a relationship with God enfleshed, Jesus Christ. And you know what? Relationships have to be nurtured. The disciples should have known exactly what Jesus was talking about when He claimed to be one with God. They had heard Him say: “Before Abraham was born, I am,” using strange grammar to claim for Himself the same name God revealed to be His to Moses back at the burning bush, Yahweh, I Am (John 8:58). The disciples had heard Jesus say, “I and the Father are one" (John 10:30). They had watched Jesus raise His friend Lazarus from the dead (as well as countless other signs). They also should have known where Jesus was going. They’d heard Jesus tell Lazarus’ sister, “I am the resurrection and the life” (John 11:25). They had heard Jesus tell Nicodemus: “For God so loved the world that he gave his one and only Son, that whoever believes in him shall not perish but have eternal life” (John 3:16). Dr. Jim Nestingen says that Thomas was looking for a roadmap. We don’t need a roadmap. If we know Jesus and follow Him, we know the Way and that’s enough. 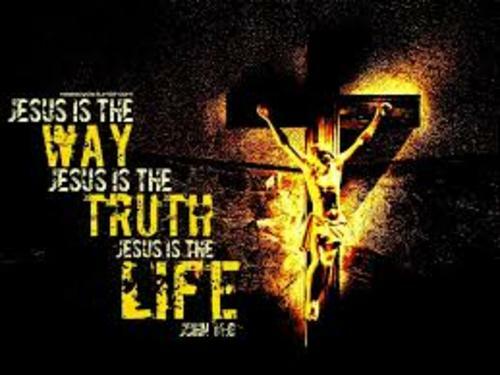 Jesus is the way because He’s the foundational truth on which the new creation is built. Any life not built on Jesus is a lie. Other ways promise life, but only Jesus can deliver. Jesus told Pilate: “Everyone on the side of truth listens to Me” (John 18:37). 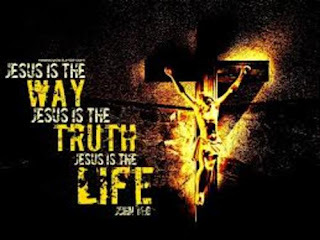 Jesus is the way because when He ushers us into intimacy with the Father, we are connected to the only One Who can make life or make life new. Thomas should have known all of this already; but he forgot. We too can forget. We too need to be regularly reminded or risk forgetting the Way. I sometimes forget Who Jesus is and what He has accomplished for you at the cross and from His empty tomb. I forget His promises, promises for which His death and resurrection are the downpayment and the guarantee. Jesus’ death and resurrection prove that He can deliver on His promises to us, promises like forgiven sin, new life, the presence of God with us along this life’s way. Jesus promises that the people who remain connected to Him, His Church, will do even greater things than He did during His three decades on earth. He promises too, that whatever things we ask in His name--in other words, whatever things we ask of God that conform to Jesus' will, that draw others to life through Christ, that reflect His character of love and goodness, Jesus will see that they happen. Some of you know the amazing thing that happened when my mother was dying a few weeks ago. At the hospital, my niece contacted a friend of hers who also is a friend of my brother’s and asked her to tell my brother what was going on. We hadn’t seen my brother in six and a half years. But we had prayed that before either of our parents left this life, there would be a reconciliation. We didn’t want our brother to live with any unnecessary guilt. I dreaded the thought of that. My brother came to the hospital. We didn’t know that he had only moved back to the Columbus area two weeks earlier! (The God we know in Jesus is the master orchestrator of events!) There was a wonderful reconciliation. What if we had given up on praying for reconciliation? What if my niece had given up on trying to reach out for my brother? What if my brother had turned a deaf ear to the Savior in Whom he believes? When we remain connected to Jesus, trusting in Him, not everything in this world goes as we want. (After all, this isn't heaven!) But Jesus gives us the strength to endure when all seems hopeless. And He enters the places and the lives into which we invite Him to transform hurt to healing, despair to hope, life to death. In fact, He specializes in doing just those kinds of things. I have no magic formula on how you can remain connected and intimate with the Savior, Who by His grace, saves all who trust in Him. This is a relationship that requires time, commitment, and work, not as the prices we pay for salvation, but as the sacrifices we willingly to make to remain intimate and alive with the Lord Who sacrificed all for us. Be in corporate worship every week you can. We are strengthened by God's Word and God's Truth as we gather in Christ's name. Receive Christ’s body and blood, which brings you His life and forgiveness, every time they’re offered. Someone once asked my mentor, Pastor Bruce Schein, how often people should receive Holy Communion. His answer: "Every time you can!" In this supper, Christ comes to us, giving us His very life and imparting His forgiveness to us. Holy Communion is God's Word incarnated. It's a treasure not to be passed by or forgotten! Join hands with your Christian family for prayer, study, mutual encouragement and accountability, and service in Jesus’ name. And spend time each day personally in God’s Word, asking the Lord what He wants to tell you and how He wants to lead you that day. Then, fortified by God’s Word and His presence in your life, go do those works of love and gracious power Jesus promised that each of us who bear His name would do. In these ways, you won’t forget Jesus and He will empower you as His disciple. Jesus never forgets you; please, never forget Jesus.